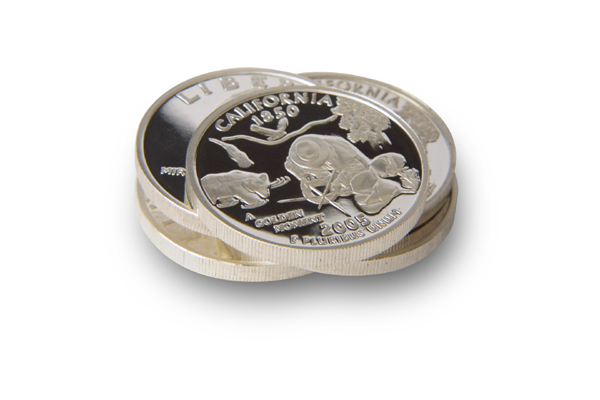 According to the People "A Golden Moment" is the chosen design to grace the circulating California Quarter. In place of the People's Choice evidence shows that an act of fraud headed by California State Librarian Kevin Starr resulted in a fraudulent representation of the Sierra Club founder John Muir to be put into circulation misappropriating hundreds of millions of dollars of Public Funds. 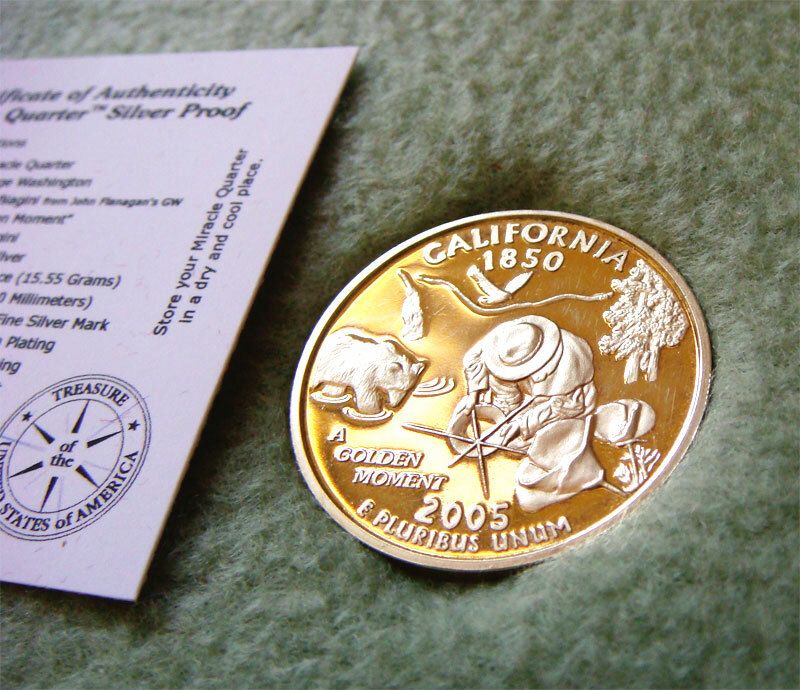 Every time you hold a circulating John Muir quarter, you hold a coined fraud. I can only hope that John Muir would not have supported such a criminal act on his behalf. A prospect of the design chosen by the People was to represent anyone who has a vision, works to attain it and suddenly experiences the moment when that dream comes true reflected back and outward as the shimmering light of life. An ideal that is indicative of our United States, historically throughout California and engrained in every human being. Every time someone would exchange the People's Choice they would have inadvertently shared "A Golden Moment" with another. Everything about the winning design is truly special and positive, and the majority of People inherently felt it. 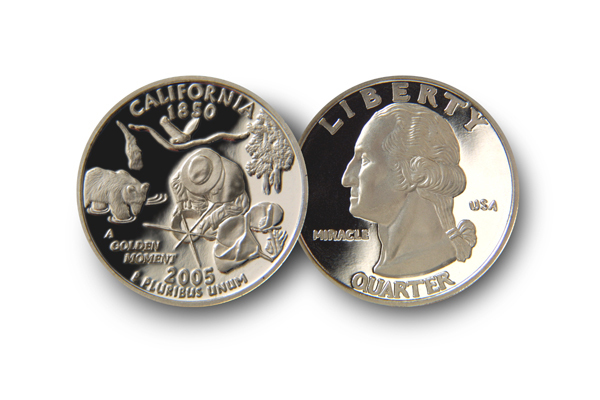 A deciding factor for having the true California Quarter minted was the fact that representatives of the U.S. Mint stated my design had too much detail to be coin-able. 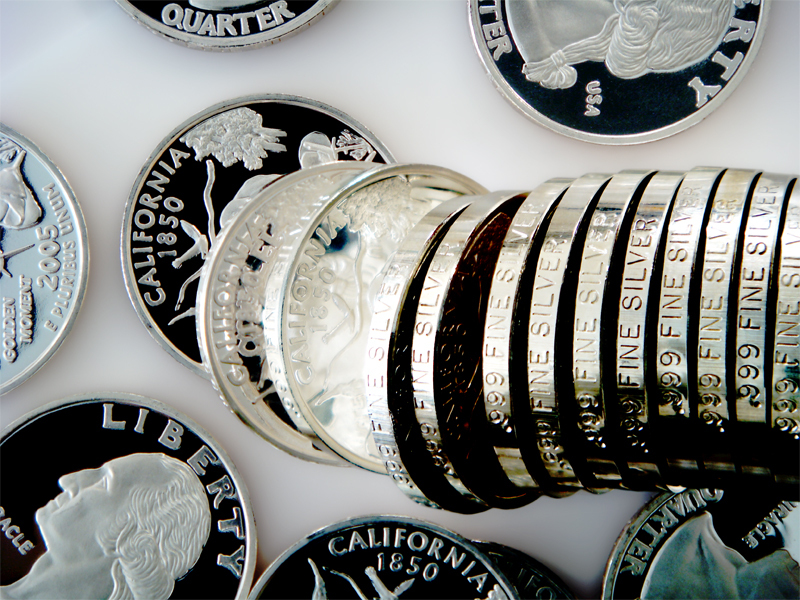 In effect having "A Golden Moment" successfully minted in pure silver makes it truly a Miracle Quarter, since the U.S. Mint said it couldn't be done. As I was when talking with the U.S. Mint, I am certain the representatives were lying, and the proof is in the coin. 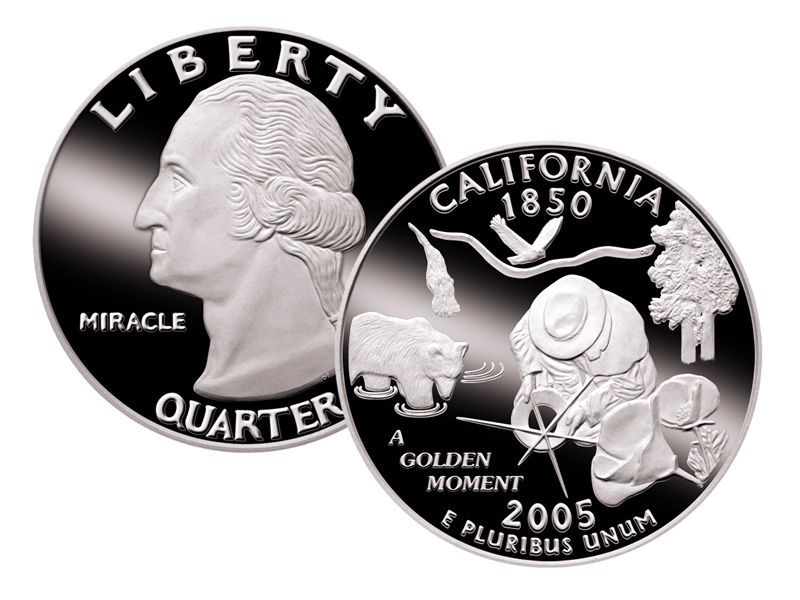 The following is a photograph of the California Quarter—A Golden Moment as the gold plated pure silver Miracle Quarter—that was used as a bookmark while reading "The Snowball". The image shows the placement in a beautifully engraved cigar box featuring the Great Seal of The United States with "Pluribus E Unum" (Several From The One) which was presented to Warren Buffett along with twenty exquisite Christmas ornaments with the inscription "a snowball's beginning" for the office employees of Berkshire Hathaway that each featured a Silver Snow Crystal.